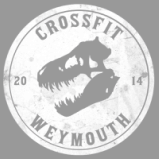 We are really excited to be the first gym in the local area to offer CrossFit kids and teen specific classes. We are passionate about seeing young people in the local area develop a life long love of fitness! In classes we combine gymnastics, body weight movements, games, workouts and weightlifting elements. Above all else we want our young CrossFitters to have fun and learn new skills! We place a big emphasis on moving safely and effectively and set the foundations for where-ever their fitness may take them in the future. Currently we have three age groups based on the school year the child is currently in: Yrs 2 - 4, Yrs 5 - 7 and Yrs 8 - 10. We operate the classes on six week blocks of training every half term.